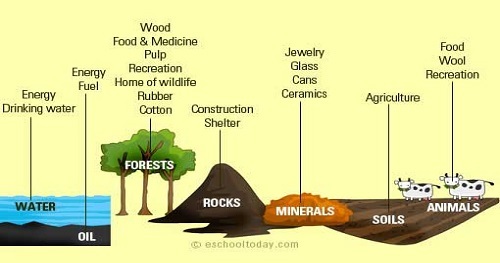 Natural Resources: resources that exist without actions of humankind. This includes all valued characteristics such as magnetic, gravitational, and electrical properties and forces. On earth it includes: sunlight, atmosphere, water, land (includes all minerals) along with all vegetation, crops and animal life that naturally subsists upon or within the heretofore identified characteristics and substances. Some natural resources such as sunlight and air can be found everywhere, and are known as ubiquitous resources. However, most resources only occur in small sporadic areas, and are referred to as localised resources. There are various methods of categorizing natural resources, these include source of origin, stage of development, and by their renewability. Federal court "speaks for the trees"
Can the Hambach forest be saved?